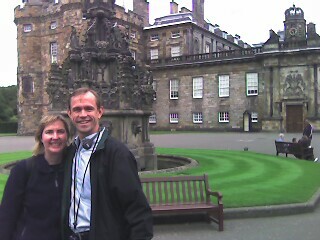 We were able to take a tour of the Queen's official residence in Scotland, because she's at Balmorral, only a few miles from the farm house where we stayed for our St. Andrews get-away. Holyrood means holy cross. The palace got its name because the chapel held a relic, which was said to be part of the Lord's cross at Calvary.